After Baadhshaho, Emraan Hashmi starts shooting for the much awaited film Captain Nawab. The project is being directed by Tony D'Souza, who collaborated with the actor for 2016 release Azhar. 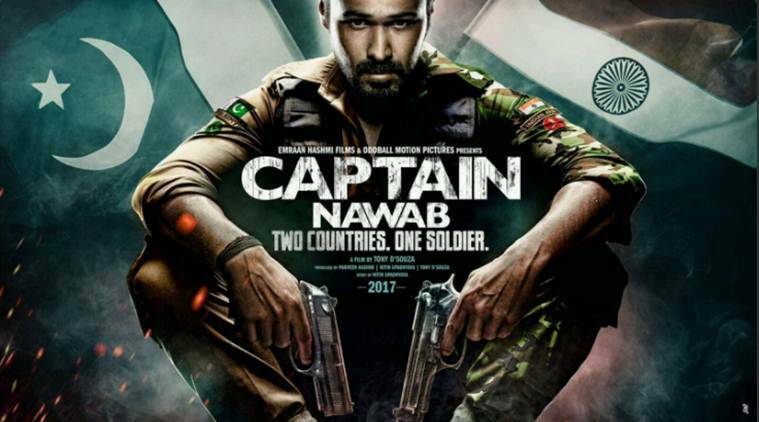 Emraan Hashmi in Captain Nawab. After having a decent 2017 so far with Baadshaho, Emraan Hashmi is ready to begin his next project, Captain Nawab. The actor shared a picture from the sets of the film and announced that he is starting its shoot from today. The project, which is being directed by Tony D’Souza, was announced last year and took internet by storm with its first look. Emraan was seen donning a uniform with a background of Indian and Pakistani flags, making his look extremely intriguing. This is Emraan’s second outing with director Tony D’Souza. The two had earlier teamed up for Azhar, which was the biopic on the controversial life of former cricketer Mohammad Azharuddin. Emraan is also set to touch another milestone with Captain Nawab. The actor has turned producer with this film. “I’m really excited to turn producer in collaboration with Tony D’Souza, who is an extremely talented filmmaker and a great friend,” Emraan said in a statement. Tony D’Souza expressed his happiness over the collaboration. In a statement, the director said he is happy to join hands with Emraan for the new venture. “After the success of Azhar, Emraan and I are happy to join hands on this venture. While we cannot disclose much at this juncture, we are finalising the script and the casting,” Tony said. Meanwhile, Emraan had a decent run at the box office this year with Baadshaho, which had him teaming up with Ajay Devgn and Milan Luthria yet again. The trio had previously worked together in Once Upon A Time In Mumbai.